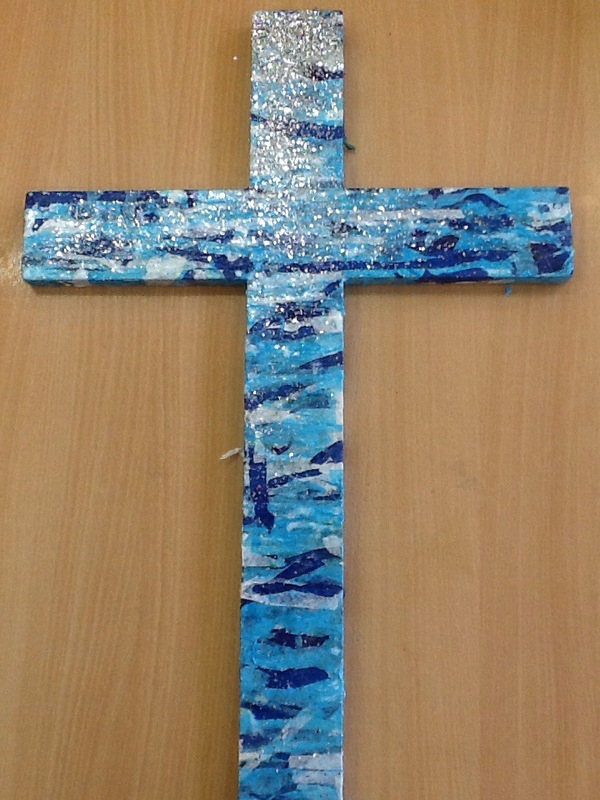 Looking back on Faith in Art week, it was amazing to see the children reflect, explore and question what they believe. 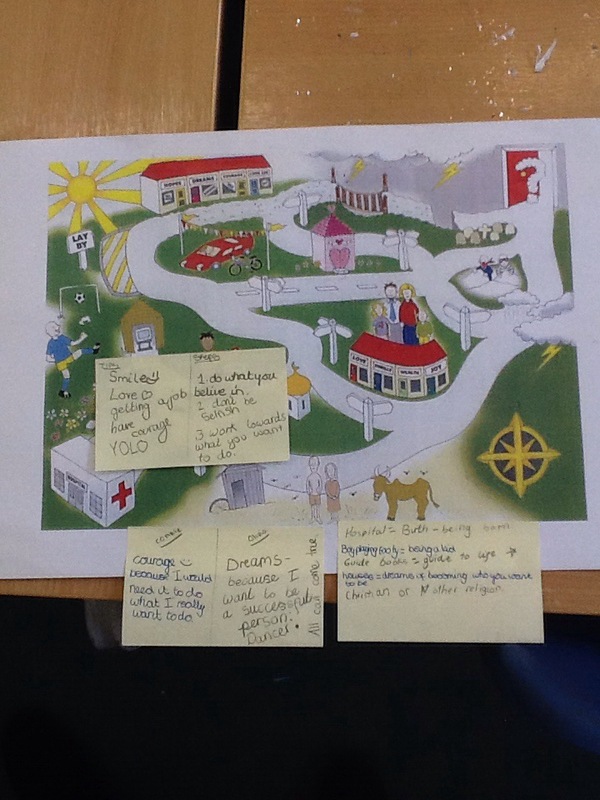 This was interesting to see how the children would interpret this map as well as reflect on their life and open up to each other. – John 8:23: And He said to them, “You are from beneath; I AM from above. You are of this world; I am not of this world. – John 10:11: “I AM the good shepherd. The good shepherd gives His life for the sheep. – John 10:36: “do you say of Him whom the Father sanctified and sent into the world, ‘You are blaspheming,’ because I said, ‘I am the Son of God’? – John 11:25: Jesus said to her, “I AM the resurrection and the life. He who believes in Me, though he may die, he shall live. – John 14:6: Jesus said to him, “I AM the way, the truth, and the life. No one comes to the Father except through Me. – John 15:1: “I AM the true vine, and My Father is the vinedresser. Even though I don’t want to share exactly what I’m planning for the next year (manly because it still might not happen), I do want to post about my excitement. Driving home after tutoring, my phone buzz to say I got an email. Just thought it would be a standard junk mail but when I saw who it was from, my heart thumped rapidly. Yes, the long overdue email (it just felt like a long time as I did apply a few months ago). I have managed to get through the first process and now my application has been sent to the person who needs to read it. Hopefully, I will be shortly be invited for a interview for the next part. I love jumping out of my comfort zone and this opportunity would definitely go beyond this. Even though being a teacher you should be professional, it is good to let your hair down and act like a big kid (it’s best to do this where you won’t bump into any parents). This is what I did. Not that far from me, there is a soft play area for adults. A group of us travelled by car but when we arrived, I observed many youngsters entering and felt slightly old. As we emerged in to the playzone, I thought how we were going to occupy ourselves for three hours. However, this was not a problem: we played tag, cooled ourselves down and enjoyed the slides. The slides were immense: there was a small tunnel slide; a blue bumpy slide that entered into a ball pit; four narrow bumpy slides and a vertical drop slide from an enormous height. When I saw the final slide, I was shaking with fear but determined that by the end of the night, I would master the challenged. Some of my friends had conquered it: soon it was my turn. I climbed up the wooden steps; dragged my legs over the edge to push myself off; I looked down regretting this decision. With my heart banging out of my body and nothing to lose, I slipped off the edge; down the vertical slide, keeping my back as close to the slide causing a friction. After the initial fear, the rest was a pleasure, fun and exhilarating. I had done it: the vertical slide. Even after that first time, my heart pumped rapidly every time it went on it. Sometimes it’s good to get out of your comfort zone and over come that fear niggling inside you as well as having fun as an adult, not thinking about the responsibility of a class.